Michelle Pommeranz, CFP®, is an Investment Advisor at Lehner Carroll Shope Capital Management. She brings over 18 years of experience in comprehensive financial plans and investment portfolio management to work towards meeting all investment goals. Michelle is a proud Toledo native. After graduating from the University of Toledo in 1999 with a Bachelor of Business Administration in Finance, minor in Accounting, she accepted a Financial Advisor position at Morgan Stanley Dean Witter. Michelle holds her General Securities Series 7 License and her Uniform Combined State Law Series 66 License through FINRA. She also has Life, Health, and Annuity Insurance Licenses. 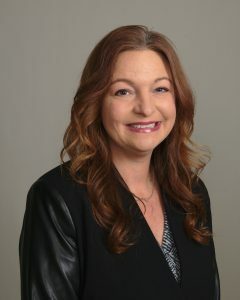 Michelle also obtained a Certification in Financial Planning from Bowling Green State University Michelle has enjoyed a successful career as a Certified Financial Planner™ since 2005. Michelle is among the 20% of financial planners who can claim to be Certified Financial Planner™ Practitioners. * This distinction and certification is one of our nation’s foremost professional educational and support organizations in the area of estate planning. Michelle focuses on developing a comprehensive, client-focused approach to financial planning that ensures the recommended programs encompass each client’s financial goals, time frames, and risk tolerance. Michelle understands that you have goals you want to accomplish. Whether you’re planning for retirement, income in retirement, estate planning, college education for a child, or financial protection for your loved ones, you’ll receive personal assistance in choosing from a wide range of products and services. Michelle has a unique view on managing a portfolio and her passion is helping clients reach their full financial potential while understanding how their portfolio functions. Michelle currently resides in Monclova with her husband Martin, their son Madden, and their happy lab Marx. Michelle has been involved in many charitable and social organizations and volunteers her time with the Northwest Ohio Food Bank and St. John’s Lutheran Church. In her spare time Michelle enjoys golf, volleyball, painting, cooking, gardening, and traveling.